Due to cancellations we have some late availability for single and twin ensuite rooms. Contact us asap if you’d like to book! 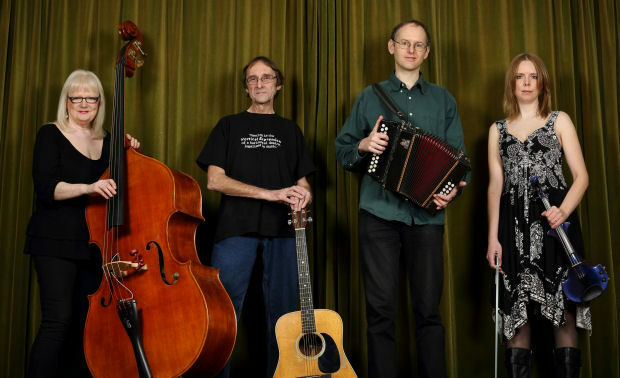 Our American Contra Dance weeks are tremendously popular and often sell out so we really do encourage early booking for these fantastic courses. Hosted by Meg Winters, dance workshops take place each morning with fun optional outings and activities in the afternoons. There is usually a musicians’ workshop Wednesday tea-time, so bring instruments! Dances every evening, all in the lovely setting of Halsway Manor! Arrive from 4pm on Monday. If you need to get here sooner, that’s fine, but your room may not be ready before 4pm. Depart after breakfast on Friday. Dancers of all levels of experience. Meg Winters is a familiar face at Halsway Manor, and the perfect, friendly and knowledgeable host to make sure you get the best from your break at Halsway! We are also delighted to welcome a great team to run this course, caller Carol Ormand, and contra dance band Vertical Expression. Carol Ormand has been calling traditional contra and square dances since the Spring of 1990, and regularly calls at dances, weekends, and festivals all over the United States and abroad.